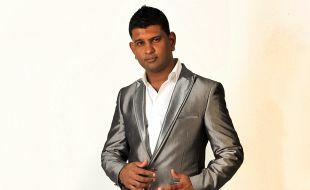 Newcastle’s comedy fans can look forward to a “peri peri funny show” by one of South Africa’s most sought-after Indian comedians, Sans Moonsamy, on the 31st of May. Visiting Newcastle for the first time, he will perform his latest one-man comedy production, Causing Kak! A Peri Peri Funny Show. He will be creating mayhem, wreaking havoc and causing a whole “lotta k@k” on stage. This show, by one of the naughtiest and funniest guys in the country, is a mixture of stand-up comedy and some of Sans’ most famous stage personas like Vishnoo Moodley, who gives everyone advice on how to 'pick up' the perfect Indian wife, amongst other gems. It’s 75 minutes of non-stop laughter, with Sans slickly transforming from one crazy character to the next, infusing comedy, dance, singing and some comic elements that can't even be described. He even plays the SA president in one of the most ridiculous costumes ever seen. It’s a floor-stomping, head-flinging, laugh-til-your-tummy-hurts kind of show. “By all accounts, this is one very funny show, and you shouldn’t miss it. Sans’ big Bollywood dance has been one of the most-talked about dance performances as it is a group dance by one man, you have to see it to believe it,” says the casino’s Marketing Manager, Veneshrie Chetty. Sans is the star of the sellout comedies, Keeping up with the Koopasamys, Curry on Laughing, Karma Komedian, and Those Indian Guys. He’s also graced the big screen in Blitz Patrollie, Bakgat 3, and the soon to be released Durban Poison. Tickets cost R 100 per person, R 90 for cardholders, and can be purchased at the Casino’s cash desk. It all unravels in the casino’s Imbizo Conference Room from 19h30. The doors will open early at 18h45. For further information please contact +27 34 328 1777. Many happy winners enjoyed the sound of money at the final ‘Ka-Ching’ draw held at Blackrock Casino! Blackrock Casino’s Ka-Ching promotion came to a nail-biting end on Saturday, 29 March when twelve semi-finalists were selected and received R 500 each in FreePlay - just for qualifying! During the main draw at 20h00 in the evening, eight of the finalists were eliminated and received a consolation prize of R 2,300 in FreePlay while the four remaining finalists got another shot at the winnings by selecting a random case whichheld the main prize of R 30,000 in cash and R10,000 in FreePlay! In total, over R90 000 in cash and FreePlay as well as numerous lucky draw prizes was given away during the evening while performer, Igal, entertained guests. No less than R 160,000 in cash and FreePlay was given away throughout the entire promotion period which lasted just 10 short days! For more information call +27 34 328 1777. It’s been four years since Blackrock Casino joined the Tsogo Sun group with the vision to become Newcastle’s preferred entertainment destination. Throughout the month of April, the casino will toast to a bright future and give thanks to its loyal customers with a string of exciting promotions and give aways. “April is going to be a magical month at the casino as we mark our 4th anniversary. We’ve got some special draws and entertainment lined-up to make April a month to remember, not only for the casino but also for our loyal patrons, many of whom have supported us from the start,” says the casino’s Marketing Manager, Veneshrie Chetty. In the run-up to the main birthday celebration at the end of April, Blackrock Casino will be staging bonus birthday draws every Friday night at 19h00. There is a grand total of R 90,000 in cash and prizes to be won. These draws are open to both carded and non carded gamers. Blackrock cardholders can print their complimentary draw tickets at the E-host machines, while non-carded guests will qualify for a free ticket when they purchase a meal or drink over the value of R 50 at Celebrations Bar. The month-long festivities culminate with the Masquerade Fiesta-themed birthday bash on the 26th of April. There will be live entertainment and a hive of activity on the casino floor between 18h00 and 22h00. Professional dancers from DC Dance Company will dazzle guests with spectacular dance displays. Guests will be treated and will have the opportunity to pose for pictures in the Famous Photo Booth. Blackrock Casino has got a cheeky R 25,000 in cash and prizes to give away as part of its Easter celebrations. Lucky draws will be staged at 16h00 and 18h00 on Friday, 18 April and Monday, 21 April. These are exclusive to Blackrock cardholders who qualify for a complimentary draw ticket. Tickets can be printed at the E-host machines on draw days. Visit Blackrock during Easter and enjoy some surprise activities! An ecstatic Matthew Rose from Newcastle emerged victorious in the Roulette Masters Final tournament at Blackrock Casino on Saturday the 15th of March and will soon be heading to Johannesburg to represent the casino in the National Finals of the countrywide 2014 Tsogo Sun Roulette Masters Tournament when he could be made a millionaire. 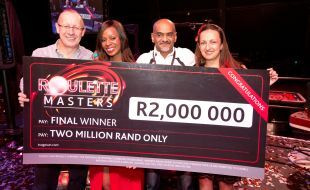 Blackrock Casino was one of 13 Tsogo Sun Casinos around the country which hosted qualifying rounds for theRoulette Masters Tournament between mid January and mid March. 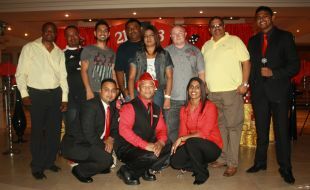 It is the first nationwide Roulette Tournament that Tsogo Sun has staged. Matthew was among the top 21 scorers in the local competition who qualified to participate in the unit finals. Scoring the highest, he won an impressive R10 000 in cash and a trip to Gold Reef City for the National Finals on the 29th of March. At the grand nationals, finalists from around the country will compete for the title of Tsogo Sun Roulette Master 2014. There is a guaranteed R1.7million first prize, and a further R700 000 in cash to be shared by the top scorers. “The Semi Final competition was the culmination of nine weeks of exciting qualifying rounds and stiff competition. We congratulate Mr Rose. Consistently scoring high in the qualifying rounds, and coming first at our Semi Final competition, he has proved to be a worthy candidate for the title of Tsogo Sun’sRoulette Master 2014. “We look forward to the national finals at the end of the month when someone will walk away with a cool R1.7million in cash. The stakes are high and we wish him luck. Certainly, we are hoping for our representative to take home the big prize. “We would also like to thank everyone who participated in Blackrock Casino’s tournament. It has been a fast-paced and exciting tournament,” says Veneshrie Chetty, Marketing Manager for Blackrock Casino. The local leg of the exciting 2014 Tsogo Sun Roulette Masters Tournament came to a thrilling end on Saturday 15 March when the 21 top scorers in the two-month long tournament competed in the Semi Finals at Blackrock Casino. The top seven scorers in the Semis shared R25 000 cash… in prize money, with the top scorer, Matthew Rose, taking home the lion’s share of R10 000. Blackrock Casino’s Valentine’s Dinner and Dance was a raging success! The casino’s Mid City Grill and conference room was fully booked for the occasion. They were met with welcoming shooters and handed goodie bags before indulging in a chocolate-infused three-course buffet dinner. Local entertainer Lucky Mathambo entertained guests during the evening. Guests then flocked to the dance floor on the patio to dance the night away. Veneshrie Chetty, Marketing Manager for Blackrock Casino, would like to thank all guests who attended and hopes to see everyone again next year. Blackrock Casino’s Mid City Grill was abuzz with chatter and laughter during the special Valentine’s Dinner Dance. 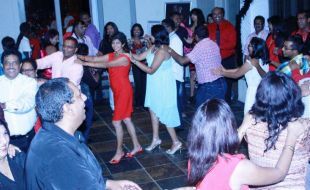 Guests dressed in red, white and black in the spirit of the event and danced until the early hours of the morning. In addition to the car, Blackrock Casino also gave away R 59,000 FreePlay on the day as well as surprise prizes to visiting guests. The semi finalists were treated to snacks and cocktails at the Mid City Grill prior to the big draw. Blackrock Casino congratulates all the winners and thanks everyone who participated in Ultimate Thrill and helped make it so exciting. In total, the casino gave away over R 460,000 in cash, FreePlay and the Chev over the course of three months. For more info call 034 328 1777. Visit Blackrock and Say "Ka-Ching"
Like The Sound of Money? Visit Blackrock Casino and Say "Ka-Ching"
Blackrock Casino’s new promotion has a special ring to it that just sounds like money. 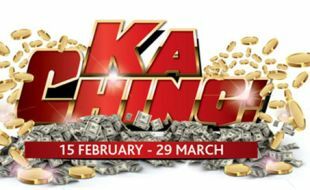 With over R 160,000 in Cash and Freeplay to be won in just 10 days, and winners churned out weekly, there are going to be a lot of people shouting “Ka-Ching”. The promotion, Ka-Ching, kicks off on Saturday the 15 February and will run until the 29th of March. Open to Blackrock Rewards Programme Cardholders and Non Cardholders Ka-Ching is a tiered promotion, with separate draws and prize bounties for each tier. To earn points, Cardholders must use their Rewards cards to play their favourite slots or table games. The more you play, the more you earn. Points earning commences on the 1st of February. “Like all the games at Blackrock Casino, Ka-Ching is a game of pure chance. But, you have to be in to win. So members must check their points status and exchange points for draw tickets. Those who manage to enter three consecutive draws get an extra chance to hear Ka-Ching because they will receive a complimentary ticket for the semi-finalist draw,” says the casino’s Promotions Coordinator, Rebecca Rachabane. Black cardholders can participate in lucky draws every Thursday at 6pm.Additional draws for Gold & Plat Cardholders take place on 15 February, 1 March, and 15 March at 17h00. Ka-Ching heats up on the 29th of March when semi-finalist draws will take place from 16h00-19h00 to select 12 finalists – for the grand draw at 20h00 when a whopping R 90,000 will be given away! According to Rebecca, Blackrock Casino is awarding complimentary draw tickets to people who signed up to the Rewards Programme in December and January. Members spending R 250 or more at Mid City Grill between the 15th of February and the 15th of March will also qualify for an additional free draw ticket. Couples needn’t look much further than Blackrock Casino for the ultimate Valentines experience this year. The casino has planned an exceptional event, with all the trimmings, including live entertainment, a chocolate-laced gourmet dinner, and dancing, for Valentine’s Day 2014. “Chocolate is synonymous with Valentine’s Day and so we thought it fitting to infuse our Valentines event with the decadent allure of chocolate at every turn. Our best chefs have created a mouth-watering; three course meal that will leave guests panting for more. “We’ve got superlative live entertainment lined-up to set the tone for the evening, and once guests have feasted to their hearts’ content, we’ll open up the el fresco dance floor where couples can sway to the breath-taking sound of timeless love songs. It is the ultimate romantic dinner dance,” says the casino’s Events & Promotions Coordinator, Candice Chetty. The evening will commence at 18h00 and will go on until 23h00. The doors will open early at 17h30 to give couples time to savour their complimentary welcome drinks and have their memories captured. Pre-booking is essential. Couples pay R 450 or R 400 if Rewards Programme Cardholders, which includes welcome drinks on arrival, the delicious three course buffetmeal and a special gift bag. Bookings can be made via the Mid City Grill Restaurant, by e-mailing midcitygrill@tsogosun.com or calling +27 34 328 1777. Couples will have the option to have their photo taken by The Famous Photo Booth at a fee starting from R 30. For more info call +27 34 328 1777. Blackrock Casino’s Ultimate Thrill reaches fever pitch this month, with the big Cash Draw which took place on 16 January and the Car Draw on the 25th when one lucky player will get to drive away in a stylish Chevrolet Orlando. The casino will stage the semi-finalist draw for the Car Draw on Thursday the 23rd of January. Four tickets will be randomly selected for each Rewards Programme tier. These 12 semi-finalists will automatically go into the draw for the car, worth R 250,000. They will be joined by a further 12 semi-finalists, chosen on the day of the car Draw, vying for the big prize. “There is still time to be part of the Ultimate Thrill Car Draw, although the clock is ticking. There are just a few weeks until the promotion culminates with the Car Draw on the 25th. Cardholders simply have to play their favorite slots and tables games to earn points for draw tickets. For more info call +27 34 328 1777. Blackrock Casino is refreshing its hugely-popular Bingo themed promotion, which has ran successfully at the casino since 2006. “Our Spin and Win evenings are well-supported and are enjoyed by a great number of regular players. That’s why we are taking it up and notch, and running it in accordance with the CPA (Consumer Protection Act) this year. Spin and Win is a contemporary adaption of the classic game of Bingo. It’s a sociable and casual game that anyone, over 18, can play. We look forward to filling up seats with enthusiasts and giving away some money,” says the casino’s Marketing Manager, Veneshrie Chetty. 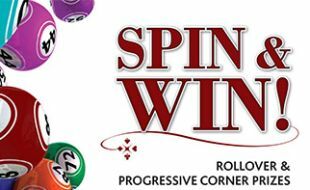 Spin and Win will take place every Sunday at 18h00. The promotion is exclusive to Blackrock Casino’s Rewards Cardholders and tickets can only be issued to participants from points earned playing the slots and tables at the casino. 300 Points earns Cardholders a Spin and Win voucher which can be exchanged at the casino’s Cash Desk for a Spin and Win ticket. There is a Rollover base prize of R 5,000 to be won weekly. If it isn’t won, the rollover prize will increase by R 500 per week. The Progressive Corner Prize starts at R 500 and if it isn’t won, it will increase by R 100 per week. Every Sunday, all Spin and Win tickets will be placed into the tombola for a Cash Draw and one ticketholder will be randomly selected to win R500. People who are not yet Rewards Cardholders, but are keen to be part of Spin and Win, can register at the Customer Service Desk. Registration is free. The Blackrock Casino Rewards Programme Card is the key to unlocking unbelievable benefits, exclusive special offers and great discounts at the casino and other Tsogo Sun casinos across South Africa. For more info visit blackrockcasino.co.za or call +27 34 328 1777. Pre-booking is essential. Couples pay R 450 or R 400 if Rewards Programme Cardholders, which includes welcome drinks on arrival, the delicious three course buffet meal and a special gift bag. Bookings can be made via the Mid City Grill Restaurant, by e-mailing midcitygrill@tsogosun.com or calling +27 34 328 1777. There is a staggering R1.7 million to be won in Tsogo Sun’s first-ever nationwide Roulette Masters Tournament which kicks off on the 13th of January 2014. With R1-million guaranteed to the ultimate winner, the stakes are high. Local Roulette enthusiasts can put themselves in the running by participating in the qualifying rounds at Blackrock Casino between the 13th of January and 12th of March 2014. Qualifying heats will take place on Mondays and Wednesdays between 19:00 and 21:00. Buy-in is R100 and there is no limit to the number of qualifying heats participants enter. Cardholders have an option of also redeeming their points for buy-ins. Those keen to take part but would like to brush-up on their Roulette skills can sign-up for free training at the casino between 17:00 and 18:00 on Mondays and Wednesdays. 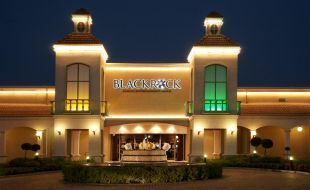 Blackrock Casino will host its semi-final and final events on Saturday the 15th of March to determine who goes through to the national finals on 29 March at Gold Reef City Casino, where a minimum of R1.7 million in prize money and a guaranteed first prize of R1 million will be won. “We are thrilled to announce Tsogo Sun’s first national Roulette Masters Tournament and to give local Roulette players a chance to be part of it. With over R1.7million in prize money to be won, it is certainly the biggest Roulette tournament to ever be hosted on anational scale and we wish everyone luck,” says Blackrock Casino’s Marketing Manager, Veneshrie Chetty. The tournament is open to everyone over the age of 18, cardholders and non-cardholders.